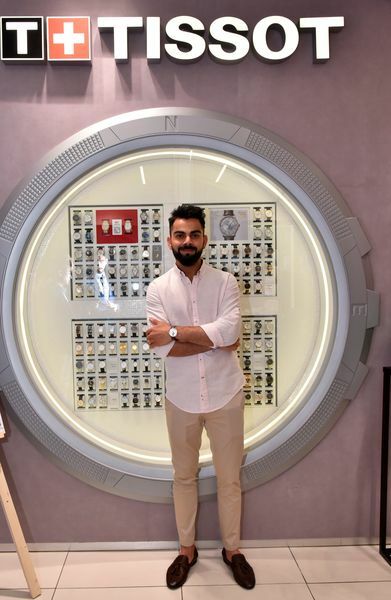 Kohli currently represents around 20 brands, including Tissot, MRF, Audi, Puma, Gionee, Boost, Colgate, Vicks and Gillette. A teetotaller, he endorses the energy drink of an alcohol brand. He has cut ties with Pepsi, because he does not consume aerated drinks. According to Venkatasubramanian, Kohli’s marriage to Bollywood star Anushka Sharma was also a merging of two brands into a single, strong brand. The couple, for instance, endorses Manyavar—an ethnic-wear brand. Their coming together has also reportedly boosted their market value to upwards of Rs 1,000 crore. Kohli has also changed the way he associates with brands. He now co-creates brands and invests in them. An example is One8, his sports-lifestyle venture with Puma. He has also invested in the gym chain Chisel, tech startup Sports Convo, and apparel line Wrogn. Forbes recently calculated the brand value of top athletes by subtracting the average income of the top 10 athletes in a particular sport from the total earnings of that athlete, excluding salaries, bonuses and investment revenues. Roger Federer topped the list with a brand value of $37.2 million, while Kohli came seventh with $14.5 million. Kohli beat the likes of golfer Rory McIlroy (eighth, $13.6 million), footballer Lionel Messi (ninth, $13.5 million), and basketball star Stephen Curry (tenth, $13.4 million). The list essentially means that Kohli earns $14.5 million more in endorsements than the average such income of world’s top 10 cricketers. M.S. Dhoni, Kohli’s predecessor as Team India captain, had made it to the Forbes list in 2014, when he was ranked fifth.